What exactly is “HR tech“? It’s an admittedly wide umbrella, but the way we see it, it’s all about technologically driven solutions to human resources problems. The word “startup,” too, casts a wide net depending on whom you’re talking to. Forbes writer Natalie Robehmed has written an interesting exploration of what it means to be a startup, but for our purposes here, we’ve only considered companies that are six years old or younger. It’s a semi-arbitrary cutoff, but in our unscientific opinion, most companies that have passed the six-year mark are on solid enough ground to no longer be considered to be in their early stages of life. Today’s Top 10, then, is a celebration of young companies that are using technology to solve HR problems. From payroll and perks to onboarding new talent and closing the gender gap in professional services firms, the companies on our list are doing big things to make your HR department’s life a little easier. Whatever your opinion on the Affordable Care Act (ACA) is, there’s probably one thing we can all agree on: Those insurance marketplaces are confusing as heck to navigate. Indeed, shopping for health care is pretty much always guaranteed to leave people baffled in some regard. It’s a complicated system! If you work in HR, it’s often your job to guide employees through benefits explanations and company insurance plans – but what if you, like any normal person, are just as confused by it all? That’s where maestroEDGE by Maestro Health comes into the picture. The platform is designed to simplify how employers and employees shop for and enroll in benefits programs. Going the self-funded route? MaestroEdge can help. Want to guide employees through the process of shopping for benefits? MaestroEdge can help there, too – by suggesting personalized plans to your employees based on their histories, demographics, and lifestyles. The platform can even give you a hand in making sure your organization totally complies with the somewhat complex mandates of the ACA. If you’re in need of some benefits management guidance, maestroEDGE is the place to start. According to the International Labor Organization, “women are losing ground in their quest for equality in the world of work.” Juggle is a young company that aims to help in that regard by matching qualified, talented professional women with companies in need of talent. The gist is simple, but profound: Many women are forced to sideline their careers or leave the workforce altogether when they start families – a challenge that men with families don’t often face. At the same time, flexible work arrangements have become increasingly popular. Juggle sees this trend as a potential solution to the challenges women face at work: By matching professional women with flexible work opportunities, Juggle aims not only to give employers access to top-tier talent, but also to help women juggle their personal and professional lives more successfully. It’s a win for everyone involved. People HR is one of very few full HR systems that runs entirely in your browser. Not only does that mean easy access to your HR system no matter where you are, but it also means increased agility, convenience, and flexibility in all your HR needs. That being said, the coolest thing about People HR, in our opinion, is its “Missions” feature. These are 10 HR-related challenges that HR pros can embark on to improve their companies, earn recognition and rewards, and prove their value beyond a shadow of a doubt. With titles like “Creating Culture” and “Avoiding Disaster,” People HR’s “Missions” are an excellent way to make HR fun again. Bonus: People HR’s company handbook is publicly available. We suggest you take a look. There’s a lot we can all learn from the company’s progressive, flat management structure. Kin was launched by Web design company We Are Mammoth in 2012, when the company realized it couldn’t find a simple, intuitive HR system to handle tasks like onboarding, data management, employee goals and objectives, and employee reviews. The platform is built for ease and agility, and it’s perfect for organizations that lack dedicated HR staff thanks to its self-service functions. Kin’s standout feature, in our opinion, is its personalized onboarding pages. These pages detail an individual new hire’s tasks, offer tips, and collect important files all in one place – plus, the clear, crisp design makes navigating the onboarding process a breeze. 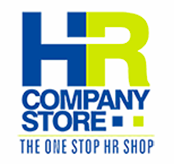 Billing itself as the “one stop HR shop,” HR Company Store is a website that allows HR pros to find, rate, and review vendors in more than 70 categories, including employee benefits, risk management, recruiting, training and development, and more. It’s essentially Yelp for B2B vendors, and it’s changing the way HR pros find and purchase the services they need. Plus — it’s totally free for HR users. The employee engagement and feedback tool Waggl makes it easy to stay updated on what’s going on in your workforce. It only takes a couple minutes to create a brief survey – or “pulse” in Waggl parlance – surrounding any issue you’d like your employees’ feedback on. Then, you can share the pulse via email, embeddable widget, or good, old-fashioned link. Unlike many other survey tools, Waggl allows employees to see answers their colleagues have given to open-ended questions (note that all answers are kept anonymous!) and then vote on which answers are, in their opinion, the best. So not only does Waggl allow you to solicit feedback from individual employees, but it also gives you some insight into the overarching consensus. Plus, Waggl also has a built-in infographic feature that quickly visualizes the data collected from any survey. In our increasingly global economy, it’s important for organizations to be on the lookout for the best talent available – no matter where that talent lives. And while communications technologies have made it easier than ever for employees to be hired and work remotely, sometimes, you need someone to come into the office. That’s where UrbanBound comes in. This relocation management software – a category you may not have even realized existed – gives HR departments the ability to administer, track, and optimize relocation benefits. Handling everything from expense reimbursement and tax reporting to supplier integration and support for relocated employees, UrbanBound is an all-in-one platform that ups the ease and efficiency of the relocation process from start to finish. Reflektive aims to replace the yearly performance review with a more flexible performance management processes grounded in real-time feedback and a genuine dialogue between supervisor and employee. It’s not a stretch to predict that real-time feedback will become the new performance management norm in the coming years, so why not be one of the first to hop on the wagon? As your startup grows, you’ll need to start worrying more and more about those foundational needs like payroll, benefits, and compliance – you know, all the stuff that an HR department usually handles. Unfortunately, your young company may not be able to afford a dedicated HR professional just yet. Justworks is a platform that allows you to automate and streamline all of those foundational business needs, freeing you up to focus on the revenue-generating activities that sustain your organization’s growth. Plus, Justworks offers support from lawyers, accountants, and HR experts at no additional cost. No more frantically searching Google for answers to your human resources questions! One of the most impactful drivers of employee engagement and motivation is recognition. When you recognize and reward employees for their hard work, they’ll feel more valued, which leads to greater loyalty and an urge to keep achieving. Of course, it matters how you reward your employees. Cash bonuses are nice, but they don’t have the same oomph as thoughtful, personalized rewards. Blueboard offers just such rewards through its experiential rewards program. If you partner with Blueboard, you can reward top employees with everything from jam-making lessons to an acrobatic flight session. 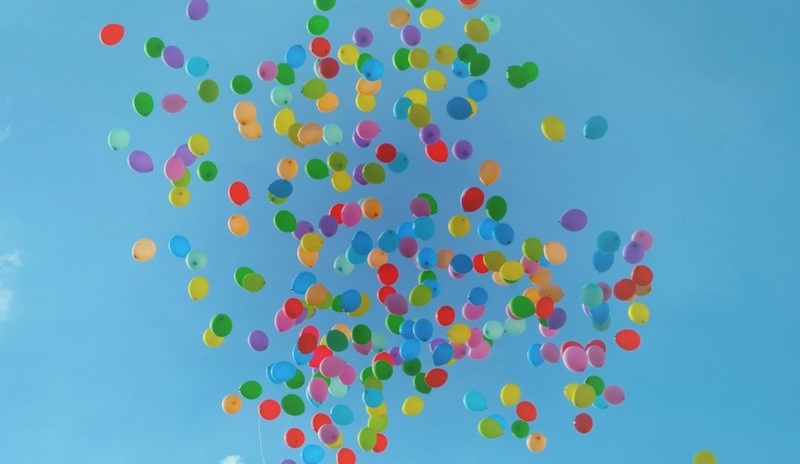 Given that millennials – who now make up the largest portion of the workforce – tend to prefer experiences to material goods, there’s no reason not to add experiential rewards to your employee recognition program.